The Gulf Racing colours of pale blue and bright orange are a classic and recognisable combination that work so well together. I’ve seen them on many vehicles, from Porches to Beetles, Mini’s, bikes and a fair few scoots over the years. 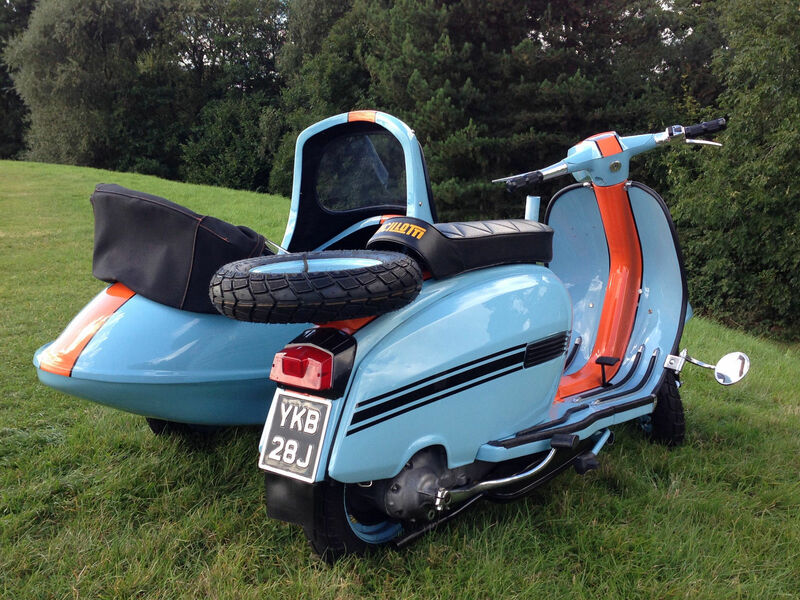 But I think this is the first time I’ve seen them on a Lambretta sidecar combination. In my ever so humble opinion, it works. And it’s for sale on eBay. 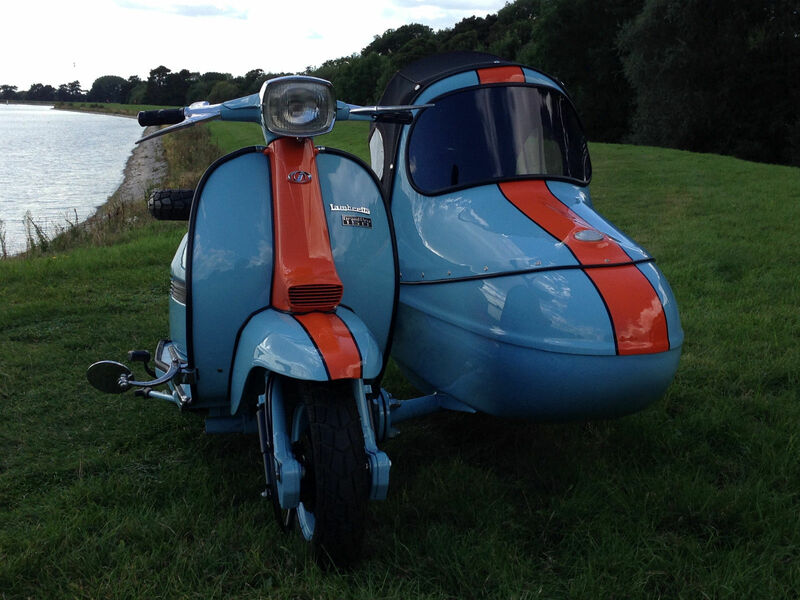 The scooter (a GP 150) has been upgraded to with a GT 186 kit, so should pull that Watsonian along nicely. It’s on eBay here. But be quick, the auction ends today. 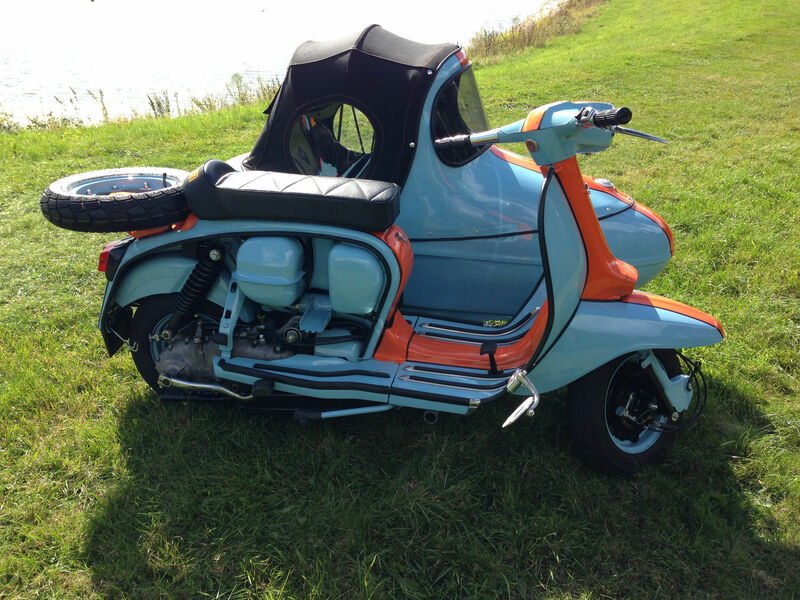 This entry was posted in For Sale, Restoration, Sidecar Combinations and tagged classic, DL, eBay, For Sale, GP, GP150, Gulf, Gulf Racing, Innocenti, Lambretta, sidecar, sidecar combination by crocodilejock. Bookmark the permalink. 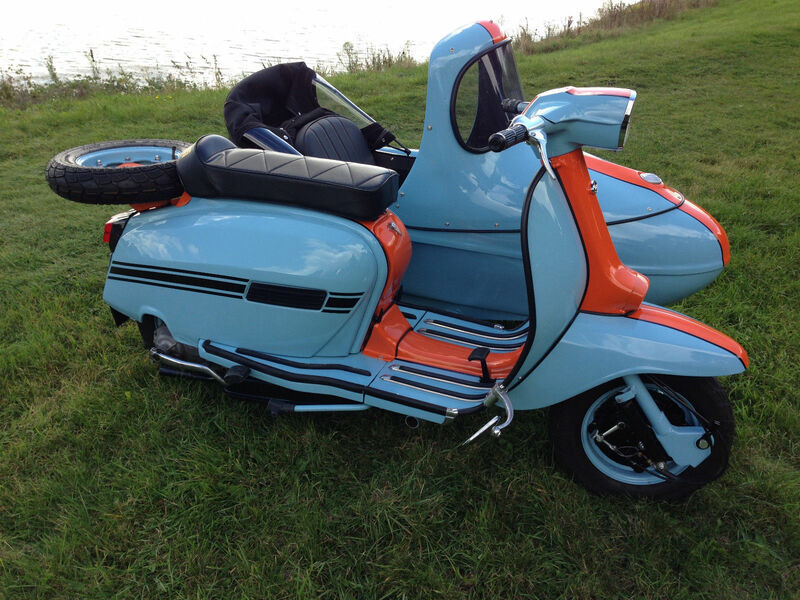 While were talking about sidecars…. 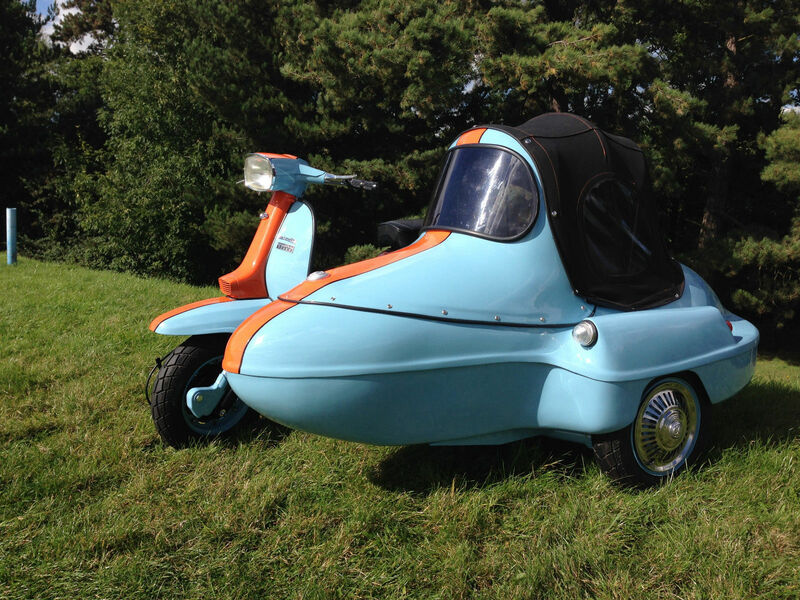 ALL the scooters in the UK have to be Right Hand Drive… and have to be converted from the continental Left Hand Drive… It’s a service I do myself for a small fee 🙂 Hadn’t thought about the handedness of sidecars!